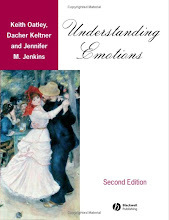 Since Raymond Mar and colleagues (Mar et al., 2006) found that reading fiction was associated with better empathy and theory of mind, as measured by Baron-Cohen et al's (2001) Mind in the Eyes test, we have often been asked: ”All right then, what should we read so that we can understand other people better?” We haven’t quite known what to say, although in our Psychologically Significant Fiction, in our Archive, we do start with Jane Austen’s Pride and Prejudice, first published two hundred years ago. 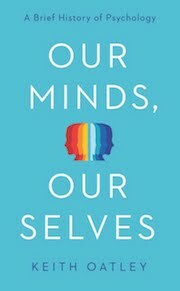 Now a study by Katrina Fong, Justin Mullin and Raymond Mar (2013) in press in Psychology of Aesthetics, Creativity and the Arts, has let us know that Pride and Prejudice is exactly the sort of thing to recommend. Mar et al. (2006) adapted Keith Stanovich's et al.’s (1995) Author Recognition Test. With this test Stanovich et al. were able to measure how much reading people do, and they found that the amount of people’s reading was significantly related to vocabulary and general knowledge, even after controlling for IQ and level of education. Stanovich's idea behind the original test was that readers recognize the names of authors of books they read, and that the number of such names they recognize gives an extremely good proxy for the amount of reading they do. By including names of fiction writers and nonfiction writers Mar et al., adapted the test to identify people who read predominantly fiction and those who read predominately nonfiction. Fong et al. adapted Stanovich et al.’s test one step further by including names of writers of four separate genres: romantic stories, suspense-thriller stories, domestic stories, and science-fiction/fantasy stories. In their study, Fong and her colleagues controlled for their readers' traits of personality, gender, age, fluency in English, and the amount of nonfiction that they read. After these variables had been controlled for, that is to say after their effects had been subtracted out, the researchers found that the amount of reading of two of the genres, romance and suspense-thriller stories, significantly predicted people's scores on the Mind in the Eyes test. In addition, there was a positive but not-quite significant relationship between the reading of domestic stories and scores on the Mind in the Eyes test, but a negative relationship between the reading of science-fiction/fantasy and this test. How do we explain this? It is interesting, I think, that these results suggest that a strong element in romance stories is understanding what kind of person a potential romantic partner might be. 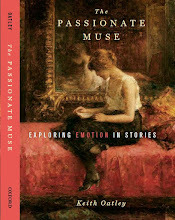 Suspense-thriller stories, and domestic fiction also have elements of working out what people are up to. 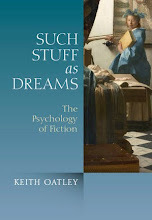 Prototypical science-fiction and fantasy stories, on the other hand, have a different kind of focus. They tend to be about such matters as wondering how life might be different in the future, or how it might be possible to travel faster than the speed of light. It makes sense that people who read stories of this kind are becoming more expert in thinking about and practicing matters that are rather different from interpersonal skills of the kind indicated by the Mind in the Eyes test. Fong, K., Mullin, J., & Mar, R. (2013). What you read matters: The role of fiction genres in predicting interpersonal sensitivity. Psychology of Aesthetics, Creativity, and the Arts, in press. 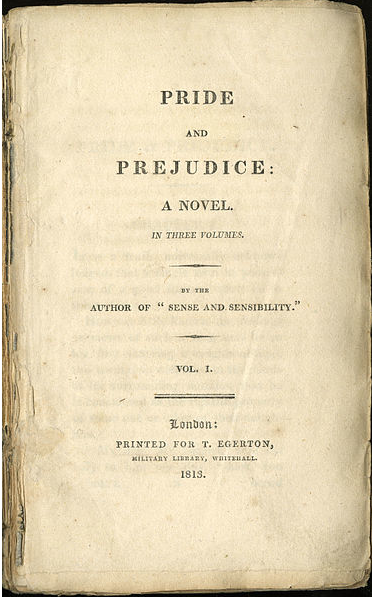 Image: Title page of the 1813 first edition of Pride and Prejudice, public domain. I agree that biology may have some effect in empathy when reading romance stories - our ability to size up potential mates is most likely to be called up when reading these types of works. I might disagree somewhat about science fiction, in which the science may be 'hard' or 'soft'. Not all SF works are about the possibility of FTL or terraforming. For example, the Faded Sun trilogy by C.J. Cherryh contains hard science, but is also about broader themes such as treatment of indigenous peoples, what it might mean to settle on other worlds, war, the politics of greed and learning empathy. Consequently, I have no explanation for the negative findings for SF related to Mind-In-the-Eye, but doubt it is related to the concept that hard science in a book somehow makes it harder to empathize with the characters. I read Fong, Mullin and Mar's study last week and thought it might possibly help explain some of what lies behind the latest installment of what Cora Buhlert calls the "girl cooties" controversy within SF. a lot of writers and readers in hybrid genres such as urban fantasy, paranormal romance, SF romance and romantic suspense [...] are often longtime SFF fans (or suspense fans for romantic suspense) and they like action, adventure and worldbuilding, but they also want a bit more emotion and yes, romance, than “pure” SF/fantasy/suspense tend to offer. I certainly count myself among those readers/writers. I was increasingly unhappy with speculative fiction devolving into emotionless big idea fiction on the one hand and increasingly grimdark macho fantasy with unpleasant characters on the other hand. Then one day, I became aware that there was a whole slew of subgenres such as futuristic romance, paranormal romance, time travel romance and fantasy romance, full of books written mostly by women, which promised the action and worldbuilding I had come to enjoy about SFF, but with more female characters, hopefully less needless violence against said female characters and characters and relationships that rang true to the experience of actual human beings. It would be interesting to know a bit more about what type(s) of books were being read by the SF readers in the study who scored badly on interpersonal sensitivity. Were they readers who favoured "emotionless big idea fiction" and/or "increasingly grimdark macho fantasy"? And for the purposes of this study were SF romances (if listed) classified as "romance" or as "SF"? Thank you very much Robyn. I very much agree with you that there is some science fiction that is interpersonal; my favourite writer of this kind is Ursula LeGuin. Although my sense is that the outcome for science fiction in Katrina Fong et al. 's study might have to do with a preponderance of concepts and interests of a more technical kind in this genre, you may be right that this result remains puzzling. Thank you very much Laura. I had not known about this controversy or the writing of Cora Buhlert. This is very interesting. Hi Laura, thanks for your comments! I'm only just now beginning to hear a little bit about the "girl cooties" controversy in the SFF genre, but have to confess I know very little about it. In response to your question regarding genre classification, hybrid genres are certainly an interesting question that requires more in-depth probing. With regard to our current study, the sci-fi/fantasy titles were not hybrid (they may be considered more "pure," as suggested in the quote in your post). SF romances were only included if the predominant theme in the author's work was romance; these authors would subsequently be categorized as romance. Future work could definitely begin to tease apart these subtleties. I hope this helps to answer some of your questions!